I added a little cross-stitched felt heart for some sweetness! Wonderful take on the inspiration photo, love the felt heart! Thanks for playing at Inspired By. Love it! Great colors. Lucky Lambie! SO MUCH FOR NOT POSTING! Darling card LeAnne. Love it actually! Have a great Christmas! Had to drop in on this post too LeAnne and say....this is such a gorgeous card. I love the wee felt heart, with cross stitch, and the basket of wool. Fabulous colours. Cute card LeAnne, love the little felt heart! Hope Cassidy feels better soon, no fun having the sniffles at Christmas! Hi LeAnne, I just want to say that cute basket is so Adorable! Love it! This basket of yarn is adorable and perfect for both challenges! Love the little felt heart too! Hope Cassidy feels better. Merry Christmas, my friend, and hope your new year is filled with many wonderful things! Love crafts and family tome combined!!! Thanks for the sweet knit card in the basket!! 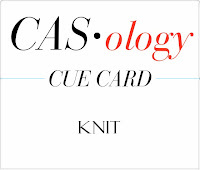 Thanks so much for adding this wonderfully designed card to the CASology Card Gallery this week! So glad that during this busy time that you found some craft time and joined us! It means so very much to see all the lovely cards here, I JUST love that even though I am on vacation, listening to Christmas Musak, that I can enjoy visiting all our CASology friends!!! Keep warm, and have a very merry Holidays this season!! !